The members of the St. Leonard Volunteer Fire Department would like to congratulate past Chief Jen Lankford on her induction into the Calvert County Fire and Rescue Association Hall of Fame. 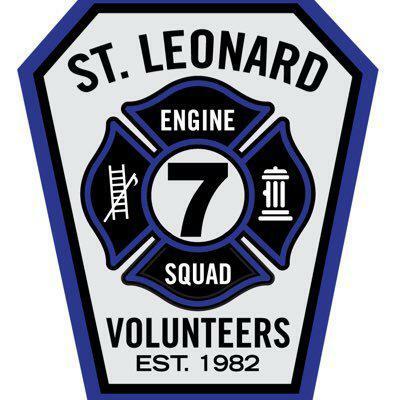 Chief Lankford began volunteering with the St. Leonard Volunteer Fire Department in November 2002. Since then she served as EMS Captain in 2004, Rescue Captain from 2005 to 2008, Deputy Fire Chief from 2009 to 2010, and then set precedence in 2011 when she became the first female Fire Chief in Calvert County, where she served until January 1st, 2015. Prior to her membership here, she began her Calvert County Volunteerism at the Solomon’s Volunteer Rescue Squad and Fire Department, Co. 3 from 1992 to 1998 and obtained the position of Assistant Rescue Chief from 1997 to 1998, ultimately Chief Lankford departed Solomon’s to begin another membership at the Prince Frederick Volunteer Fire Department, Co. 2 where she remained until 2002. Chief Lankford has received numerous awards and recognition during her membership here to include Fire Officer of the Year in 2008 and 2009, the Eddie Long Memorial Award in 2009, and was one of our Top 10 responders from 2011 to 2013. Not only did she accomplish this while having a full-time job as one of the night-shift charge nurses at Calvert Health Medical Center but also as a Maryland Fire and Rescue Institute Instructor, and Mother and Wife to three of our other members. During her tenure as Chief from 2011 to 2014, Chief Lankford was instrumental in many departmental accomplishments. In accession Chief Lankford helped replace our two aging Ambulances and Chief’s Vehicle in 2012 with state of the art vehicles that continue to serve today. In addition Chief Lankford helped create and maintain our department Rapid Intervention Program where she was credited for training a current member who was involved in a MAYDAY situation in Prince Frederick, MD. Moreover, Chief Lankford was a main influencer in getting our building on the map with the County for structural review prior to her departure as Chief. In conclusion, Chief Lankford has been apart of numerous committees within the County to include the Chairman of the Standard Operating Procedure Committee where she took the task of getting numerous SOG’s and SOP’s passed through the many County channels, and to this day many of her documents are still in use by all Calvert County Fire, Rescue, and EMS members. Chief Lankford also served on many department committees to include our new Rescue Squad committee in 2008 following the previous ones untimely and unexpected departure. Without Chief Lankford’s honor and commitment our department would not be where it is today.